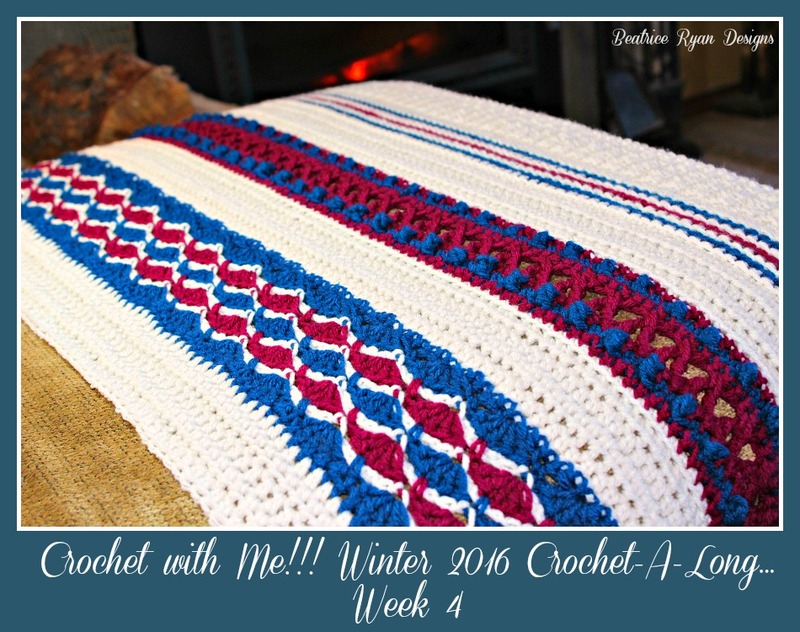 It’s Week 4 and our Crochet with Me!! Crochet Along is coming along fabulously!!! I am so excited to see all of the afghans being shown off on Facebook, Instagram, Twitter and Ravelry!! Make sure to add this pattern to your FAVORITES on Ravelry for easy access and sharing your progress! Click Here!! 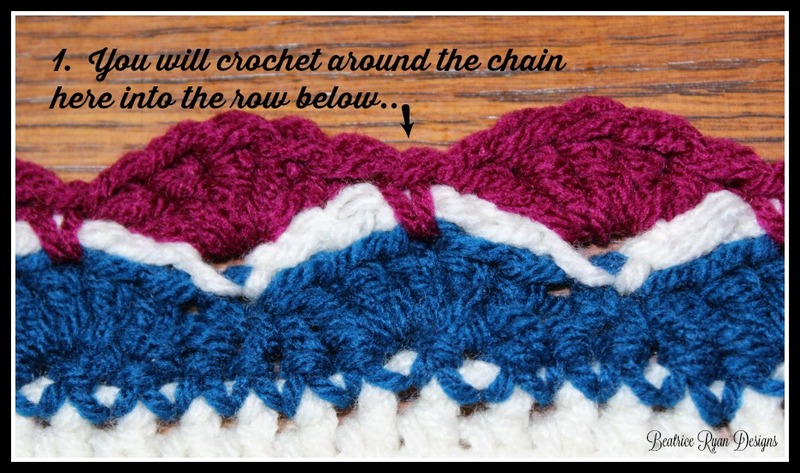 A couple of notes from last week… All the textural stitches should be on one side, which is the right side. If some of the rows seem to be a bit narrower that others, we will be blocking our project and putting a nice edging on at the end.. This should take care of squaring up the afghan unless it is off by a large amount. Just make sure you are checking your stitch count!! So,, If you are ready, let’s get started with Week 4!! Rows 44-48: Ch 2, turn, hdc in each st across. = 152 sts. Congratulations!!! You have completed Week 4!!!! I hope you are enjoying this Crochet A Long!!! Don’t forget to join me on Facebook each Saturday and post your progress pictures at 3pm pst… And you can also join the fun on Ravelry by joining my Beatrice Ryan Designs Group! !